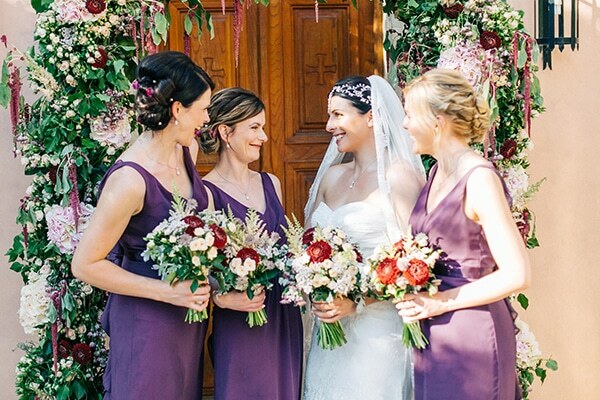 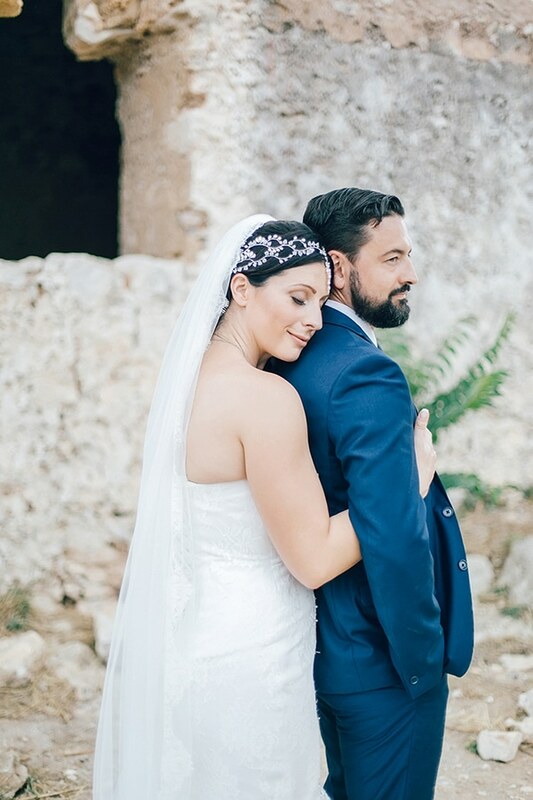 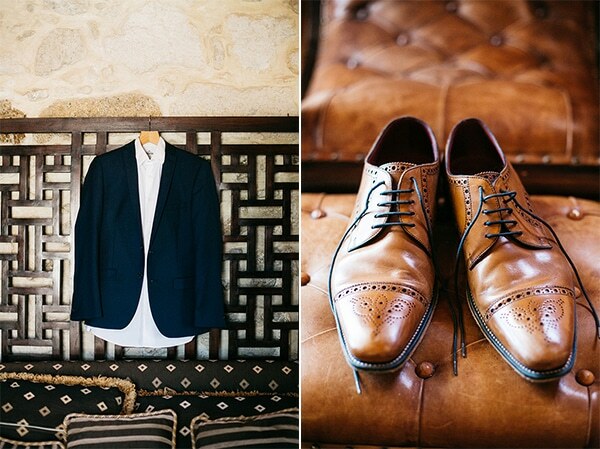 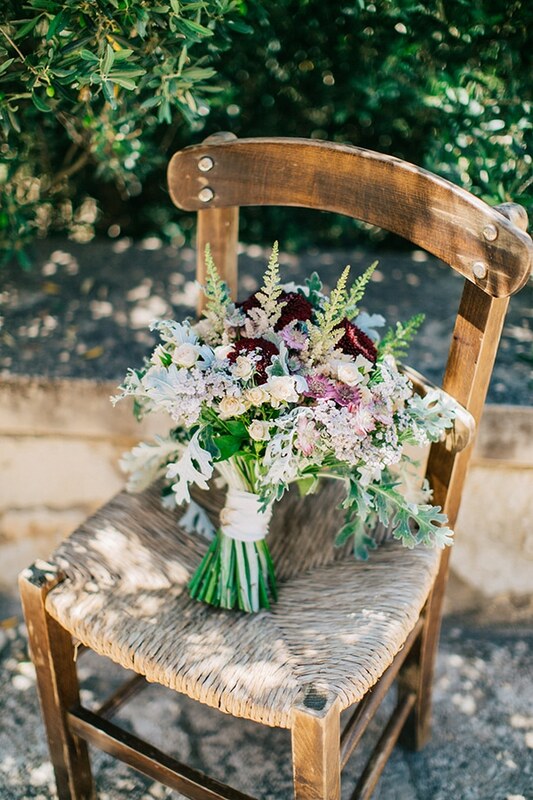 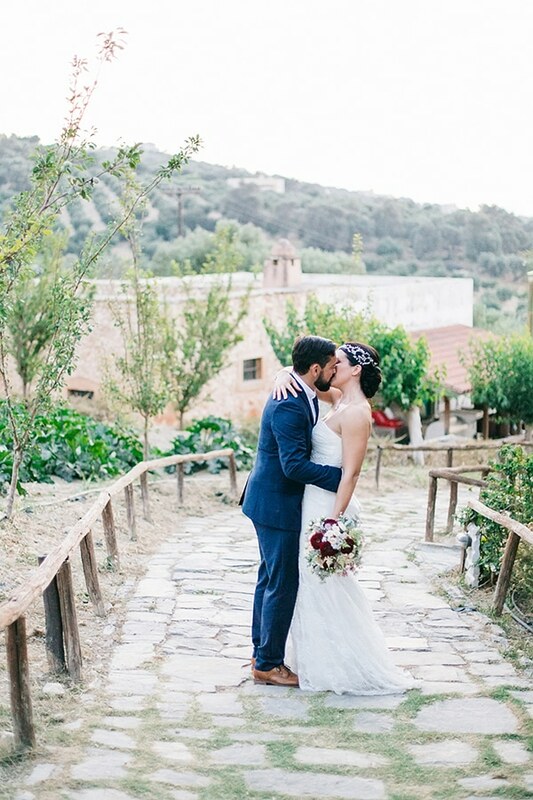 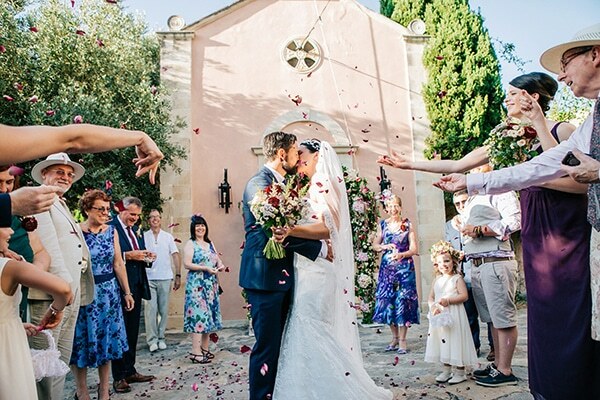 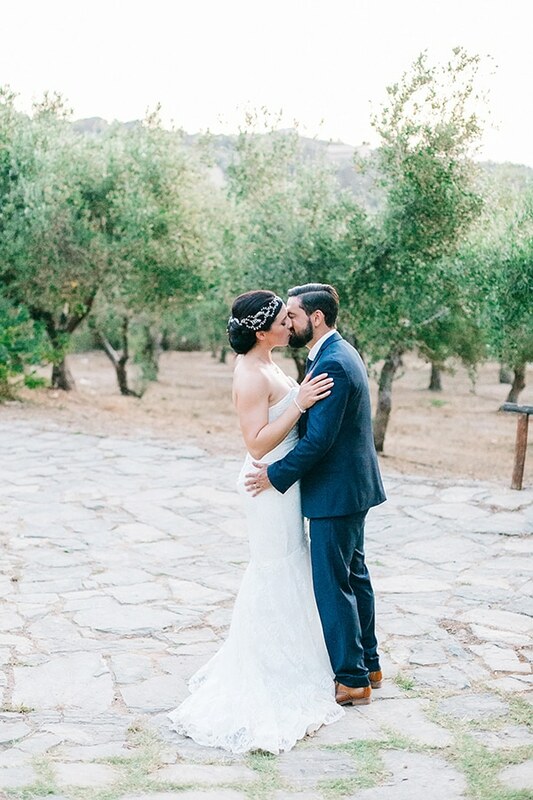 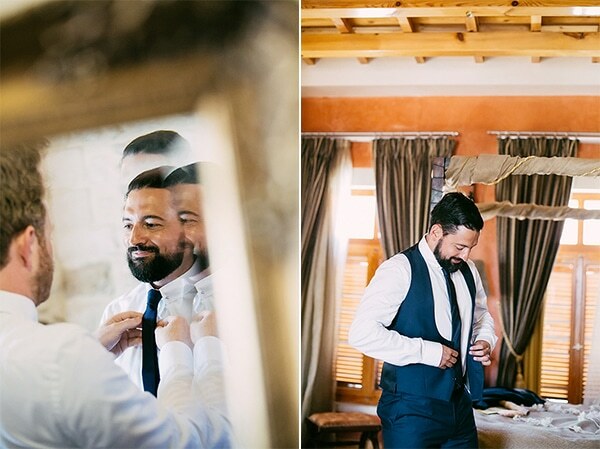 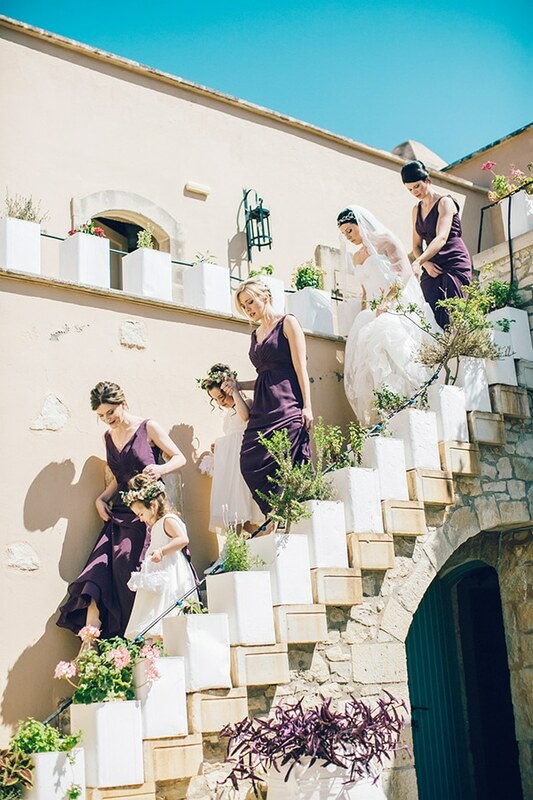 We are sharing today a beautiful rustic wedding in Crete that will mesmerize you! 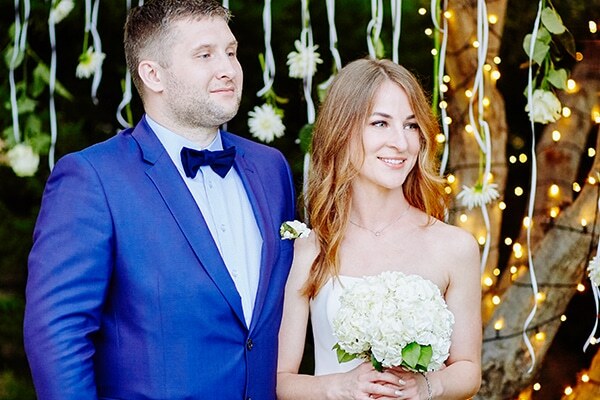 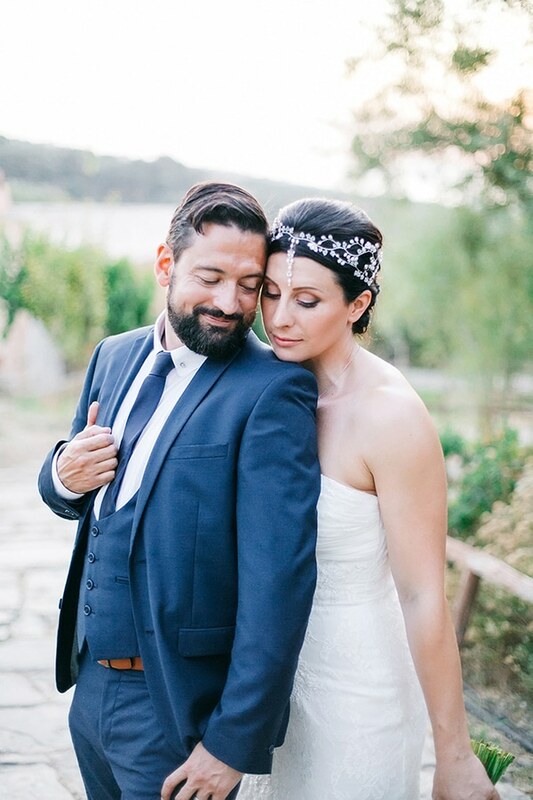 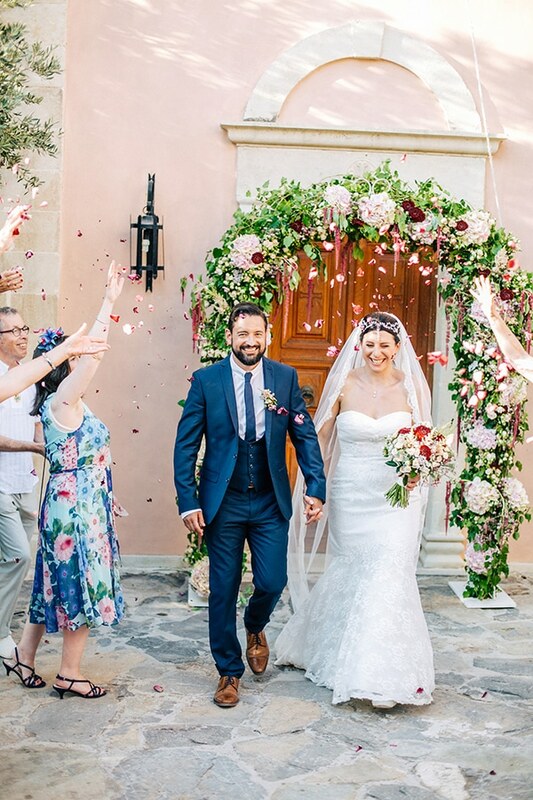 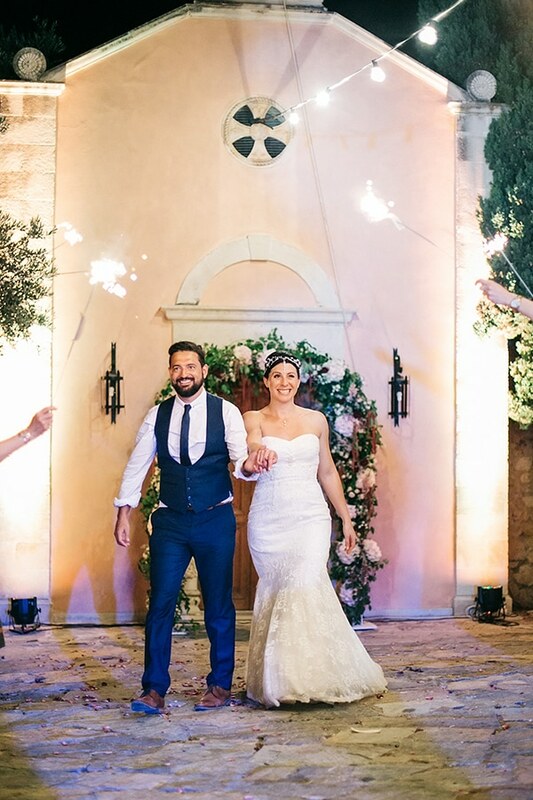 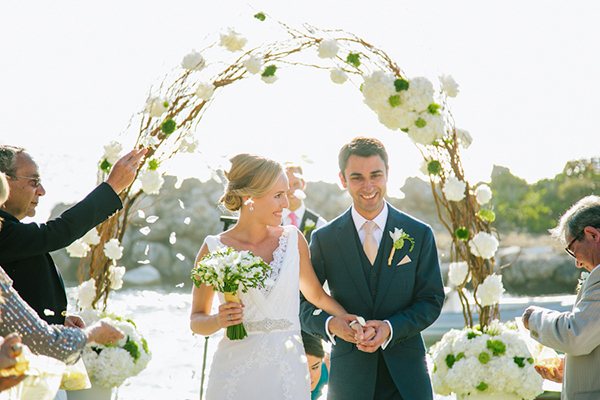 The lovely couple held its wedding at Rethymno, a place with great beauty and weather! 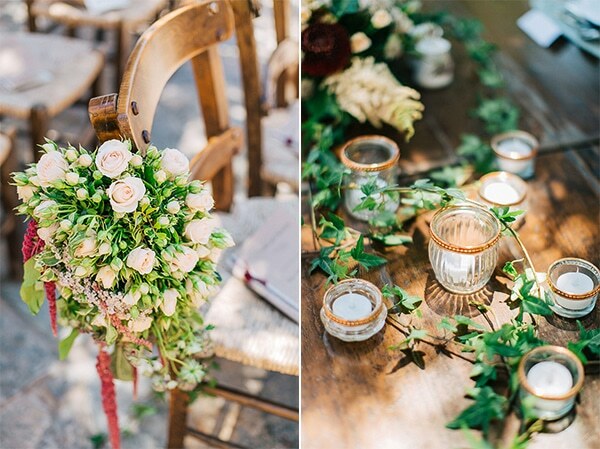 The natural landscape was incorporated in the wedding decoration, which was rustic with many flowers and candles. 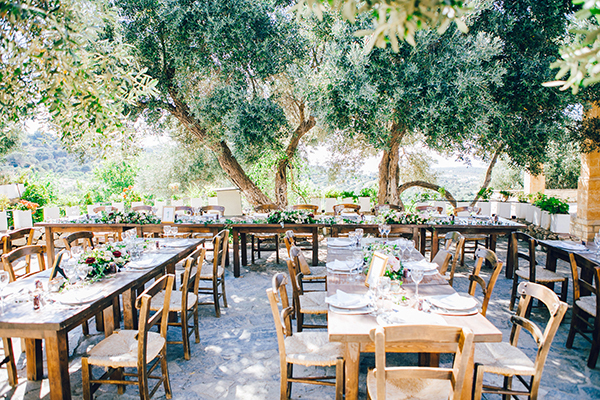 The outdoor reception under the olive trees was also lovely; the wooden tables and chairs and the greenery decoration gave a family feeling! 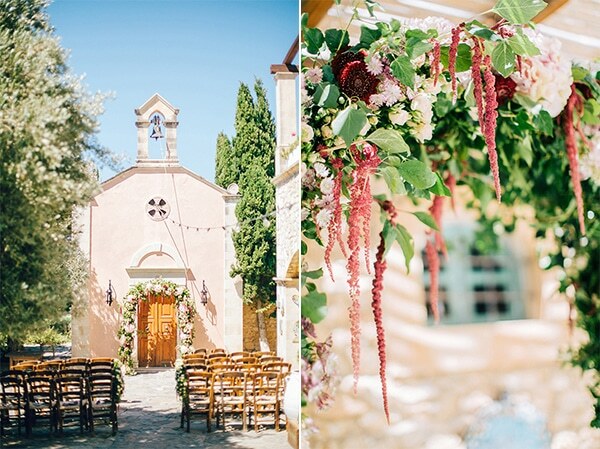 Have a look at the beautiful photos and be smitten! 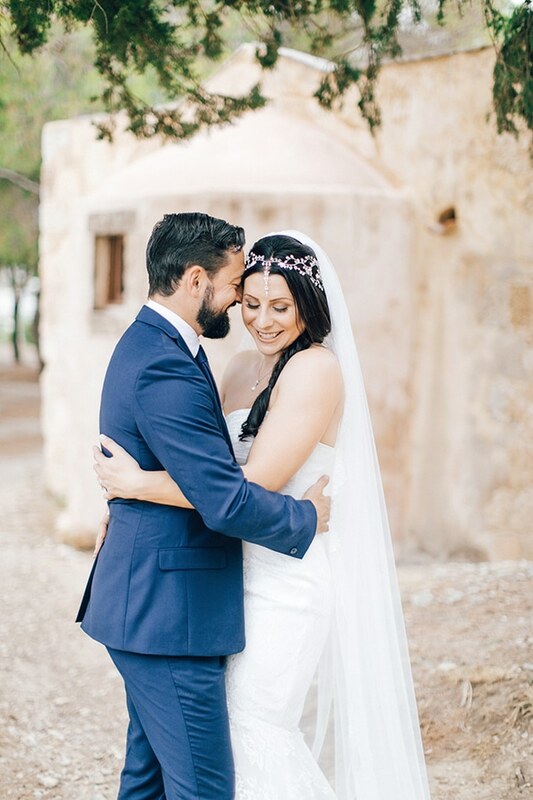 From the bride: “We met again in our home town, having not seen each other for 15 years. 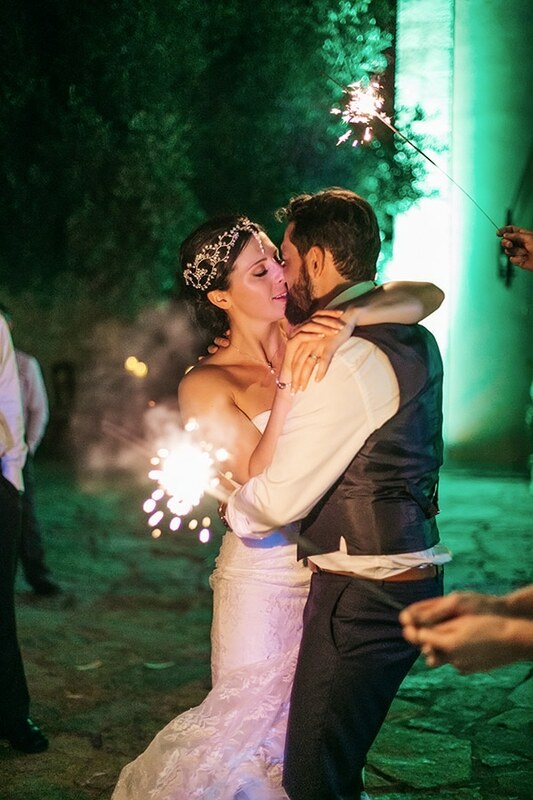 He proposed in the desert in Dubai, during an evening picnic under the stars. 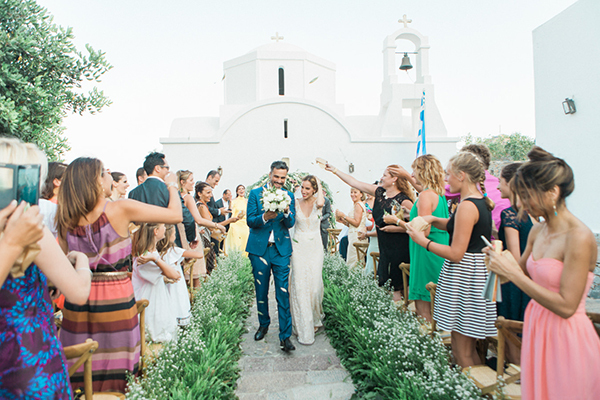 The ceremony took place in Rethymno, Crete. 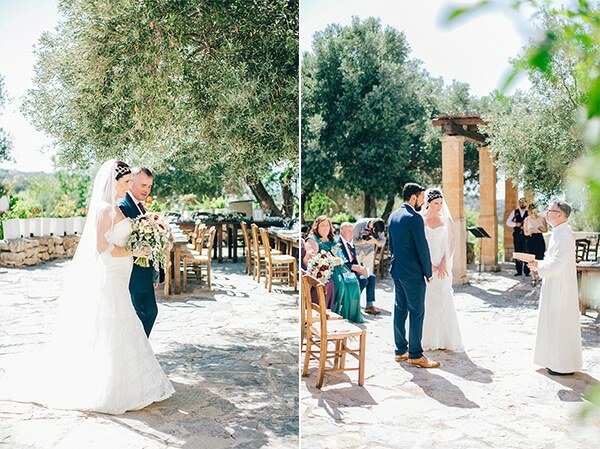 We wanted to find a location with great weather, great beauty and somewhere where we could have the ceremony and reception in the same place”. 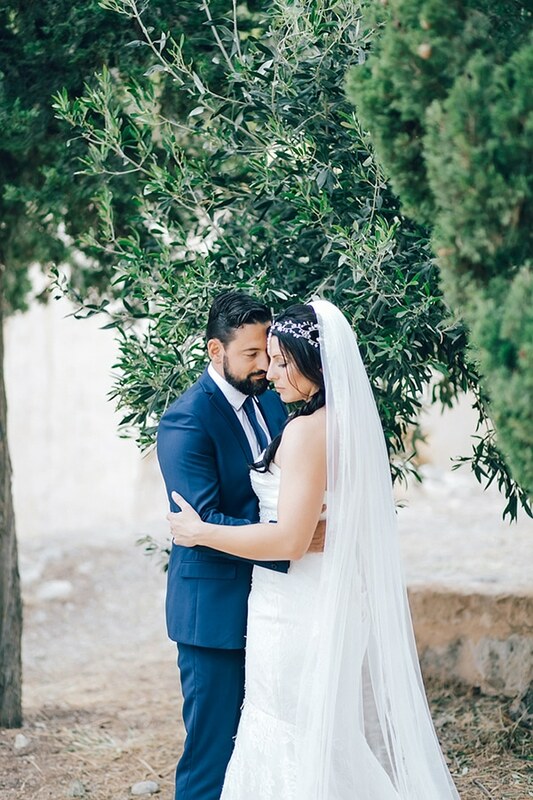 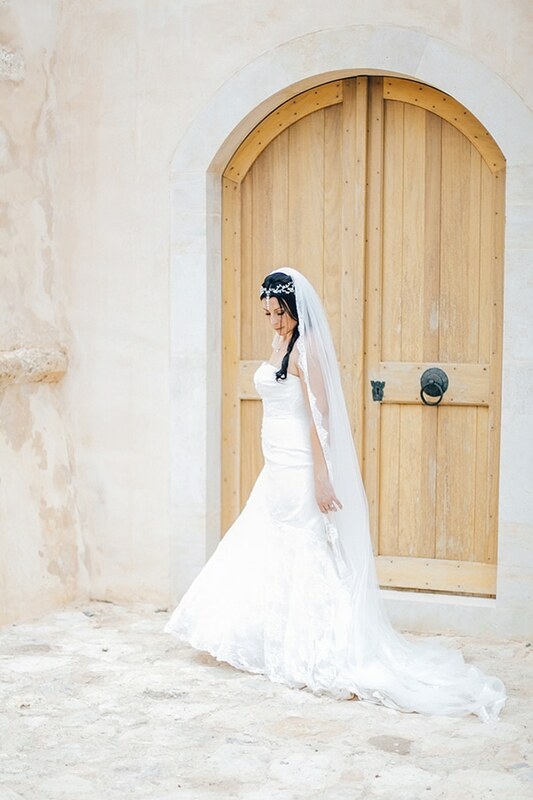 “The wedding style was cretan/rustic. 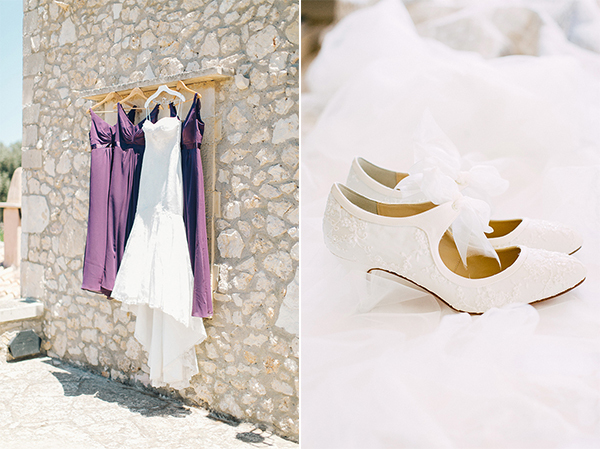 We chose navy colour for the men and deep purple for the girls. 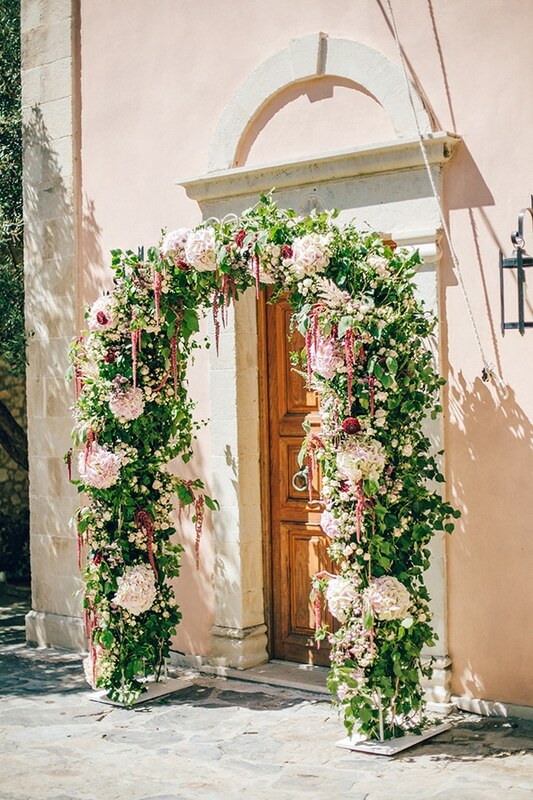 The main colours used were burgundy, teal, salt, parchment and crepe for the flowers and decorations. 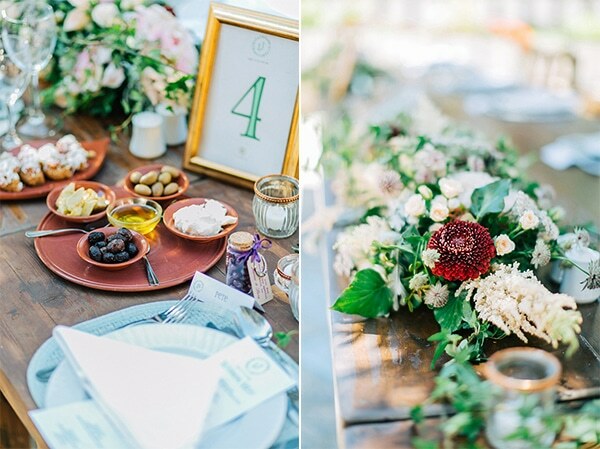 We wanted to keep it rustic with lots of candles and flowers, rather than linens. 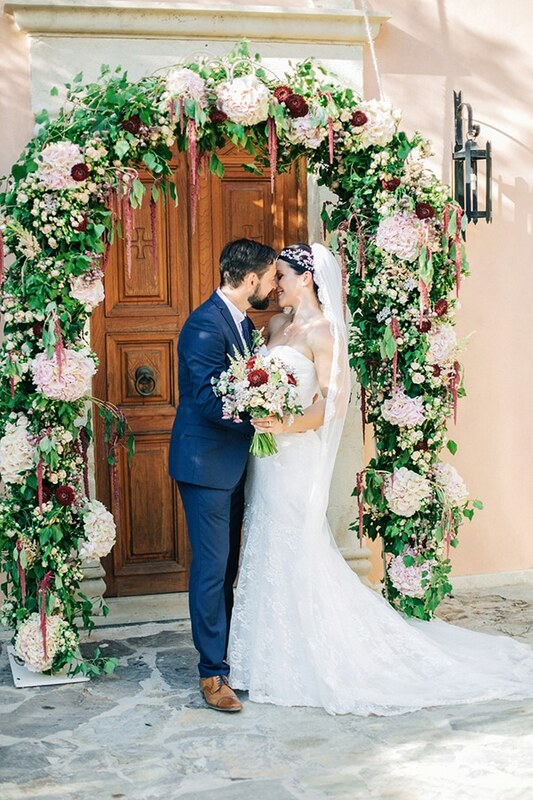 The wedding decoration was designed by Fabio Zardi. 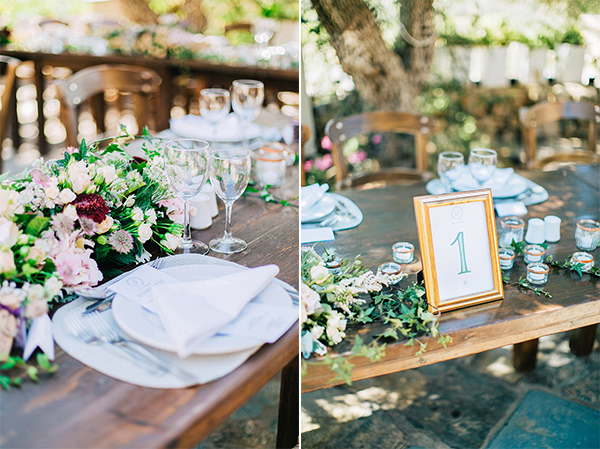 It was a combination of simplistic rustic Cretan farm house style, with candles, lace and lots of flowers. 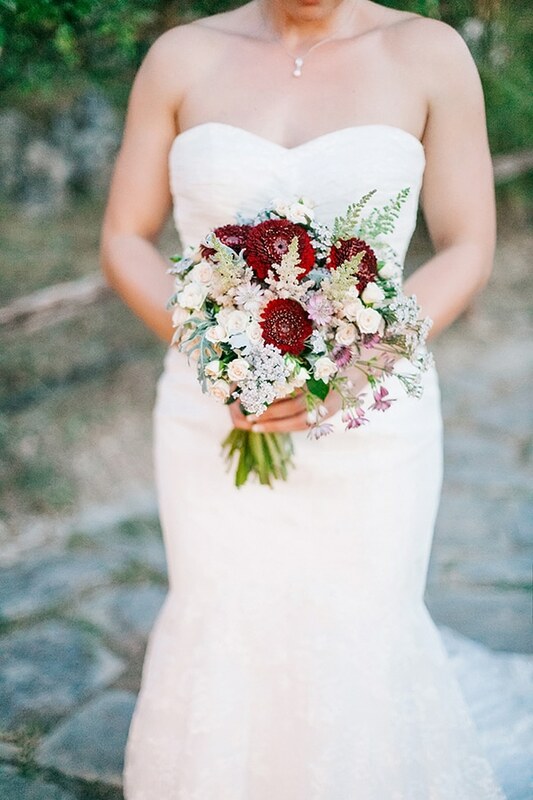 My flower bouquet had Gerbera mini pomponi Black Pearl, Sanguisorba officinalis, Senecio maritima, Astrantia rosea, Astilbe chinensis Vision Inferno, Rosa tr Cream Gracia, Rosa eq Sahara and Achillea Masterclass Peach”. 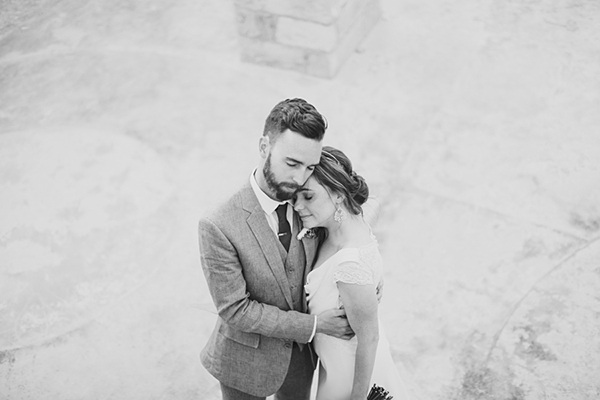 “The best moment of your wedding was spending time with my groom on the roof, looking down on what had been an amazing day and night”. 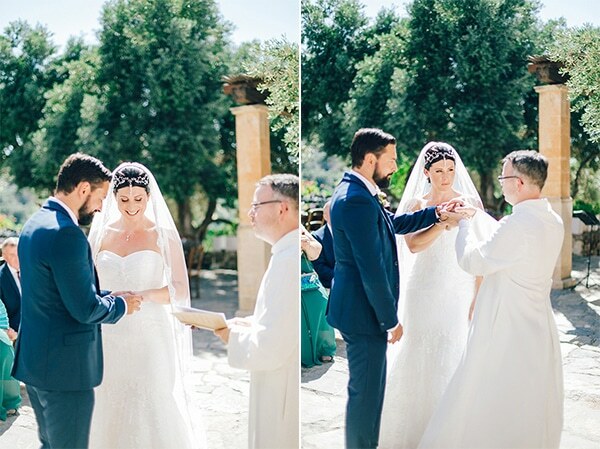 “I wanted a wedding dress that complimented my figure, but still felt elegant so I went for an hour-glass style fish tale from a small local boutique, and a cathedral veil”.